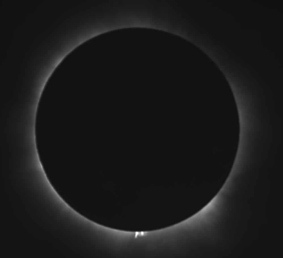 The Citizen Continental-America Telescopic Eclipse (CATE) Experiment is a national team of students, citizen scientists and professional astronomers who will operate 70 or more sites across the country from Oregon to South Carolina during the total solar eclipse of 21 August 2017. As of April 1, 2017, there are 70 national sites including 7 in South Carolina. Each site will have identical equipment so that the data collected can be combined in a straightforward manner into one, large database. POCA, funded under an National Science Foundation Program: Partnerships in Astronomy and Astrophysics Research and Education (PAARE), represents a partnerships between South Carolina State University, the National Optical Astronomy Observatory and Clemson University. The mission of POCA is to develop an effective, long-term partnership that combines the strengths of the three institutions to increase the scientific and educational output of all the partners with special emphasis on enhancing diversity in the field of astronomy. SCSU is a charter members of the RCT Consortium which has taken over management of the 1.3-meter telescope at Kitt Peak National Observatory, approximately 50 miles west of Tucson, Arizona. 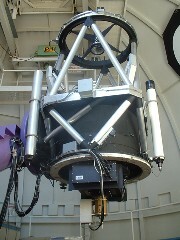 The telescope is currently being refurbished in order to make it robotic. When fully operational, the telescope will be capable of observing in any one of three modes, manually on-site, remotely in real time over the Internet, or robotically without human intervention.